During his US Tour in Jan-Feb 2019, Andreas dropped by legendary California radio station KPIG where he performed a couple of songs live on air and was interviewed by Sleepy John Sandige. Andreas also popped in at the 'Tuesday Lunch With Abe Pearlstein' show on The Rock (97.3/107.9 Mhz), here seen jamming with Abby K and John Roy Zat. (photo by Abe Pearlstein). "This track’s mix of acoustic and power ballad is very effective. 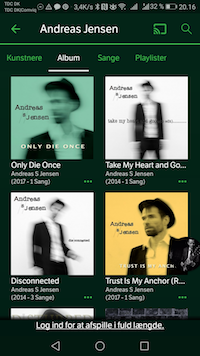 He has a strong, quite distinctive voice of the classic indie rock variety, and Trust Is My Anchor displays it nicely"
The songs 'Take My Heart And Go' and 'I Carry My Cross' featured on Denmark's biggest broadband/phone provider YouSee's info channel playlist for several months. These plays can add up to several hundreds thousands. A fifth of the nation subscribes to the channel. Subscribers can also add songs from the album and EP to their YouSee Play Musik playlists. ​Here's The Ringmaster Review of Disturbed, the album. Trust Is My Anchor has also received loads of airplay. In fact more than 100 radios have played the song. If you want to know a bit more about my producer/writer background, the forthcoming album Disturbed, or Trust Is My Anchor then read it all here. And here's The Ring Masters Review of Trust Is My Anchor. -Worth reading. Great music blog btw. 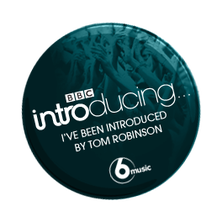 Tom Robinsons BBC Radio 6 show was first to play Take My Heart And Go, and feature it on Toms weekly Mixtape blog. -It also featured on Frank Skinners weekly podcast on Absolute Radio. In Denmark there was Radio 10FM, Lokalradioerne i Brønderslev, Radio Sindal, Musikværkstedet Viborg, Radio Solskin, Radio Als, Radio Djursland, Radio Randers, Radio 2000, Radio Ballerup and RADIO 10FM, while Westfield Alliance Indie Show 252 in Detroit,USA blasted it. I really like this one! Will give it a play on tonight's show. Cheers ! I quite like this track so will play it on one of the new music shows. Thank you so much ! Looking forward to playing Andreas on Sunday.